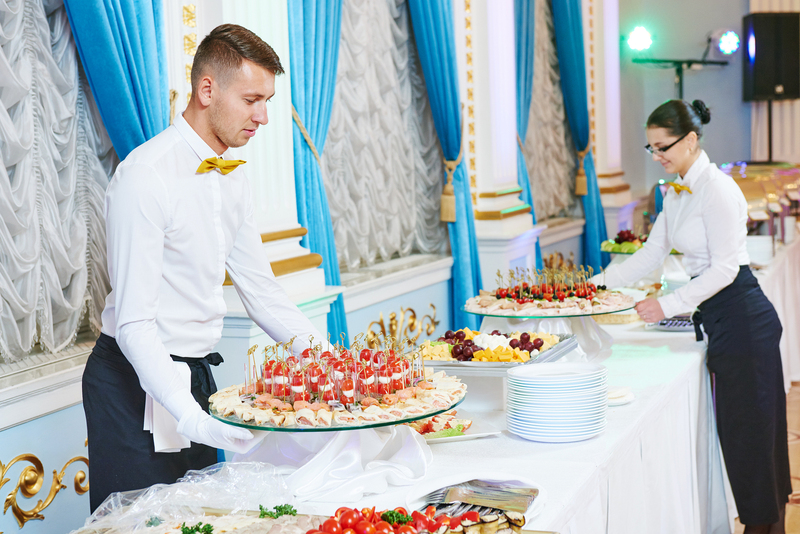 As a restaurant or catering owner, you have an abundance of equipment. Table cloths, silverware, food pans, dinnerware… you name it. So, what do you do with all of your restaurant and catering supplies when they aren’t in use? Warehouses are expensive and few and far between. And when you have a catering company, do you really have the time to drive miles every day to get your supplies? This is a problem many restaurants and catering supplies companies are faced with daily. A solution that many restaurant and catering companies have found to be extremely helpful is utilizing a storage unit. A self storage unit can be a very valuable solution for catering and restaurant owners. Get the most out of your storage unit rental by following these restaurant and restaurant equipment storage tips! Seasonal Items: Seasonal items add a nice touch to any restaurant and catered event, but unfortunately, those items can only be used during that seasonal time. A storage unit allows companies to keep with the seasonal appeal, while still having a sustainable business. When storing your seasonal items, we recommend storing them farther in the back of your storage unit sense they won’t be used as often. Furniture: A storage unit is also a smart solution for storing extra furniture. Leather, wooden and metal furniture requires being stored in an area free from fluctuations in temperature and humidity. A climate controlled storage unit can provide an ideal atmosphere for the storage of furniture. Supplies and Inventory: Using a storage unit for your supplies and inventory will allow you to keep all of your supplies in a location that is convenient but out of the way. When you rent a climate controlled storage unit, you can even store beer and wine. Glasses and Dishes: When you are storing glasses and dishware, place newspaper between each item and stack them to conserve space. Silverware can also be stored inside of the storage unit, but it is important to make sure moisture isn’t present because it can tarnish. Keep Commonly Used Items Towards the Front of Your Storage Unit: When you work for a restaurant and catering business, you want to get in and out of your storage unit and back to work as quickly as possible. Avoid having to waste time digging through boxes by keeping the items you use the most often towards the front of the storage unit. Create an Aisle: Create a narrow aisle way leading from the front of your storage unit to the back. While this may initially seem like a waste of space, you’ll thank yourself later when you need to retrieve items from the back of the storage unit. Lighthouse Self Storage has storage facilities in California and Florida. Our storage units in Carson, CA, Fort Lauderdale, FL and Westminster, CA have various sized storage units for restaurants and catering companies, including the 5×10 storage unit and 10×10 storage unit. Are you interested in learning more about a storage unit rental for catering or restaurant supplies? Contact us today!